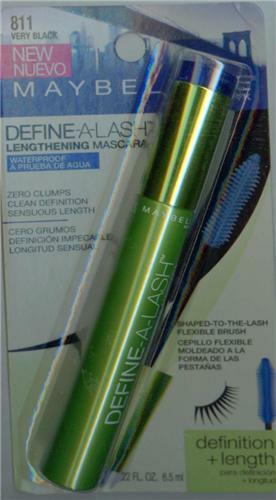 Maybelline Define-A-Lash Waterproof Lengthening Brown Black Mascara is a zero clump mascara that creates stunning length with clean definition. Sweep mascara from your outer lash to inner lash, sweeping brush slowly from root to tip. Do not let dry between coats. Removes easily with Eye Makeup Remover.